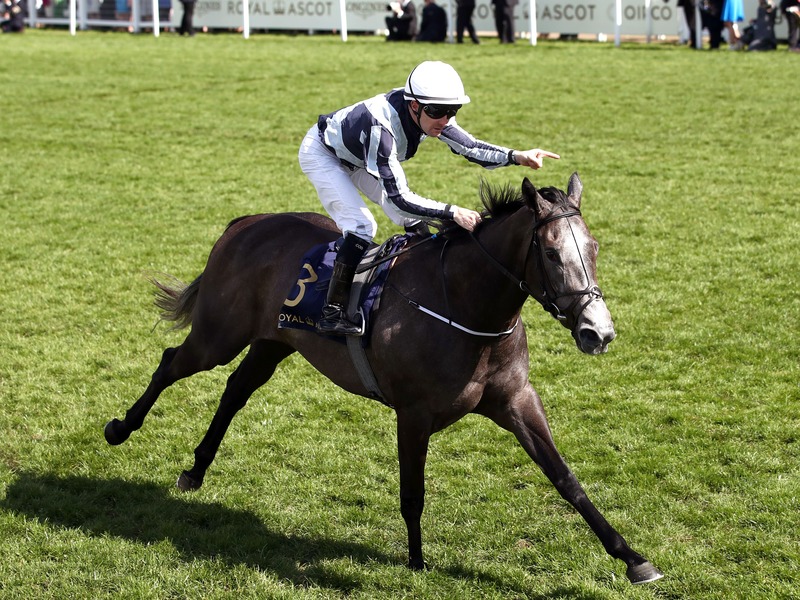 Jessica Harrington is confident Alpha Centauri remains in peak condition ahead of the Coolmore Fastnet Rock Matron Stakes at Leopardstown on Saturday. The daughter of Mastercraftsman may have finished down the field on her seasonal reappearance at Leopardstown in April, but she has gone on to enjoy a stellar campaign after notching up four Group One victories in as many months. A Classic triumph in the Irish 1,000 Guineas was followed by a scintillating display in the Coronation Stakes at Royal Ascot and she has since doubled her top-level tally with dominant performances in the Falmouth Stakes at Newmarket and the Prix Jacques le Marois at Deauville. She is long odds-on to strike Group One gold again on home soil, and Harrington could not be happier with her star filly’s well-being. She said: “She travelled back from France very well. She was in great form. She had an easy week and then we started cantering her again. “She’s been away to the Curragh twice and worked there. She did her final bit last Saturday at the Curragh, in the pouring rain. She’s been very good and we’re very happy with her. Harrington added: “You’d know exactly how she’s feeling and how she’s doing. She’s had five races so far (this season) and the first race of the year was a non-event. “On the face of it she hasn’t really had a hard race since then, but you’re never really quite sure how much they’re taking out of themselves. “Weight-wise she’s been very level the whole way through the summer and in fact, she’s now probably heavier than she’s ever been. She’s really thrived since her last run and she might be going into Saturday slightly heavier than normal. Harrington is no stranger to big-race success, of course, but is predominantly known for her exploits in the National Hunt sphere. She saddled the great Moscow Flyer to win the Queen Mother Champion Chase twice, while more recently she has won the Champion Hurdle with Jezki and the Cheltenham Gold Cup with Sizing John. Asked how training Alpha Centauri compared to handling top-class jumpers, Harrington said: “It’s all amazing. When it’s actually happening you get the buzz and all that, but you don’t really take it in. “It wasn’t until after Moscow retired that I really looked back at what he did and I was in awe of what he had done and I’d say it will be the same with Alpha. Karl Burke is under no illusions about the task facing his stable star Laurens. She kicked off her campaign by finishing second in the 1000 Guineas at Newmarket before claiming successive Group One victories in France. The Siyouni filly disappointed when stepped up to a mile and a half in last month’s Yorkshire Oaks won by Sea Of Class, but Burke reports Laurens to have been firing on all cylinders on the Middleham gallops ahead of her return to a mile. “We’re delighted with her, to be honest. She looks as well as she’s done all year and she’s working better than ever,” said Burke. He added: “Some people will say it’s a bit strange to drop her back to a mile, but we gave an entry in the Matron because there was no Group One prep race for the Prix de l’Opera. “After the Yorkshire Oaks, we looked at it and given on her only previous run over a mile she finished second in the Guineas, we felt it was worth a a go. Aidan O’Brien saddles Clemmie, Happily and Magical as he bids to win the Matron for the third year in succession. Mick Channon has declared Dan’s Dream while Lightening Quick, trained by Johnny Murtagh, completes the line-up.